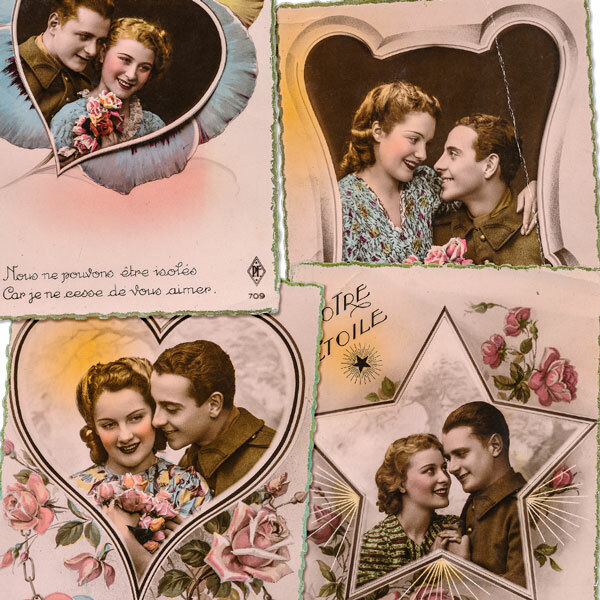 This is a set of 4 vintage French postcards featuring a girl and her soldier lover, dating from the 1940s, with violets and roses surrounding them. These gorgeous cards were scanned, edited and restored. Not all the scratches have been removed though, as they add to the vintage charm of these cards. 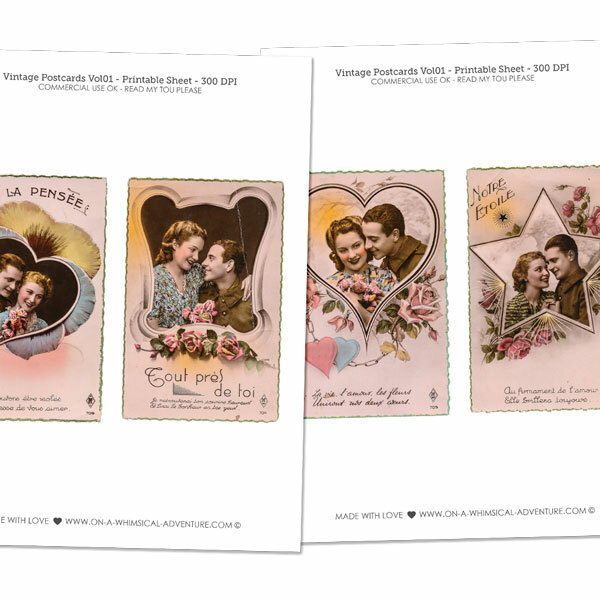 Each card measures approximately 3,527 x 5,507 in (9 x 14 cm), which is the real size of the postcards. They are perfect for your digital scrapbooking projects, journaling, labels and tags, cards and so much more! A printable collage sheet is included. Select the correct license from the dropdown menu. 4 PNG files and 2 printable sheets, 300 DPI. This pack was previously available. Please check your stash before purchase. A set of photo masks with torn edges and scratched overlays. 12 buttons for commercial use in shades of green. 12 asian style buttons for commercial use. 12 buttons for commercial use. 12 red retro buttons for commercial use. I love all the texture and colors in these papers. They are perfect for layering and bringing depth to my layouts - perfect for Art Journaling, as well as more traditional looking pages.